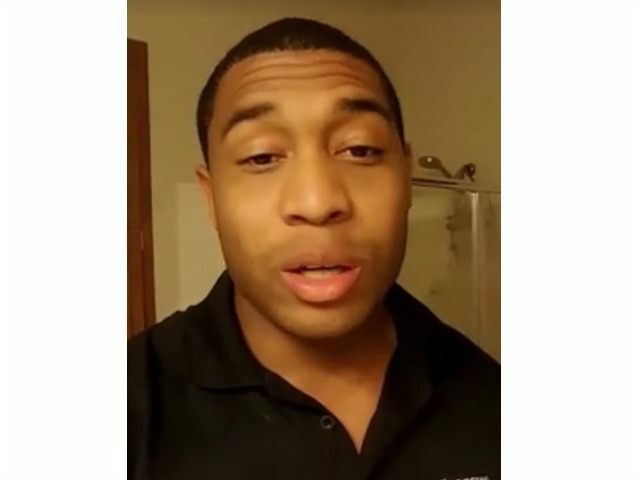 Brandon Tatum, an officer in the Tucson Police Department, shared a video Saturday night giving his perspective on Donald Trump’s campaign rally in Tucson, Arizona — and the disruptive protesters who hurled obscenities at the Republican candidate. Tatum says that as a black man, he did not feel unsafe around Trump’s supporters but was ready to fight protesters in self-defense. He calls them the most hateful, evil people he has ever seen. The demonstrators, who he recalls chanting the phrase “Black lives matter,” used profane language and gestures, leading a mother to cover her child’s ears. One protester, he recounts, got beat up, but Tatum says that the man instigated a fight either by spitting on or assaulting a rally attendee. He hopes that his message makes it into the news so that typical CNN coverage of just the retaliation against the agitator doesn’t become the prevailing narrative about the rally. As for Trump himself, Tatums says he went to the rally to decide for himself what he thought of the candidate rather than trusting someone else’s word. He states that he gained respect for the businessman and didn’t hear anything bigoted from his stump speech. “His character’s a lot different than what you would perceive it to be in the media,” he says.